Ok, so did not make it here on Monday, ( crazy life ) but here is Karens next fun project for us to give a try ! This month Daydream Doll Boutique’s Doll of the Month is Kit. 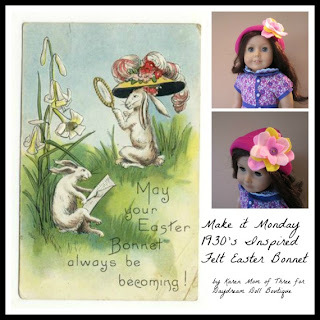 So in keeping with the 1930’s theme I have created an Felt Easter Bonnet inspired by the wonderful hats of the 1930’s. This hat is an easy to make and sew project for your dolls. Step 1- Choose your supplies. Fold your felt in half like a horizontal birthday card. 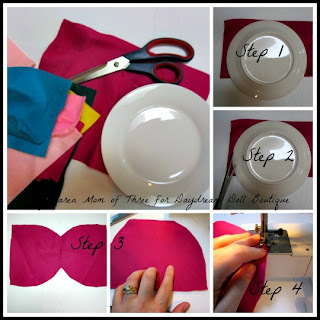 Step 2- Place your plate on the felt and cut around the bowl edges. Leave the top fold in place do not cut it. Step 3- trim your felt hat edges if you have any ragged edges. Step 5- Roll the edges of your hat as shown in the photo above and place on your dolls head. You can sew around the edge or leave it rolled. You will attach your flower embellishment on the roll and sew it into place in the next few steps. Step 6- Choose the color felt you wish to use for your flower embellishment. 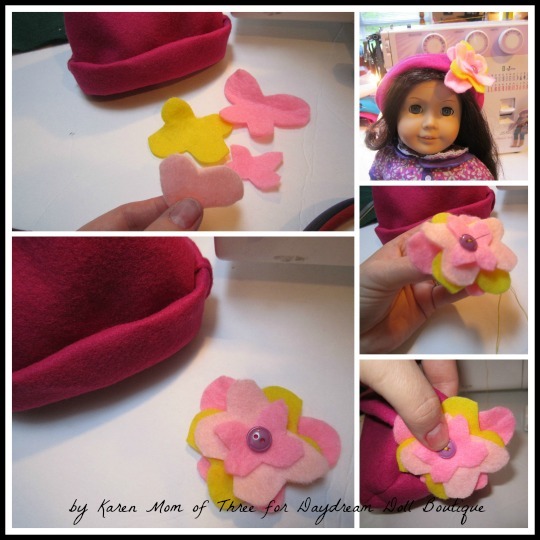 Cut out your shapes, I cut out Butterfly shapes to create a large layered flower for my hat, you can cut out any shape or style for your hat, add as many or as little flowers as you would like. Step 7- Layer your cut outs and when you are happy with your flower add a button in the center. Step 9- Hand sew your flower in place where you would like on your hat and then tie off and knot the thread end on the inside of your hat. Trim your thread. 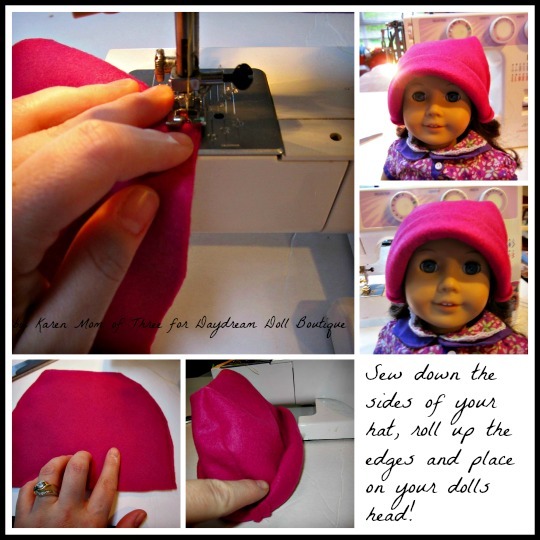 Step 10- Place it on your dolls head and enjoy! 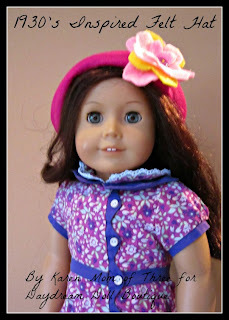 Today I used my American Girl Doll Ruthie.